Freedom Rockz: Free Groceries Delivery! Grocery Shopping 2013 Style! Free Groceries Delivery! Grocery Shopping 2013 Style! Free standard shipping on eligible items on $45 orders with home free shipping! 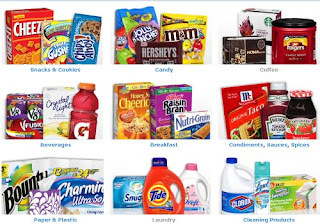 Now you can shop for some of your grocery items online & have it shipped to your door for free! I don't know about you but this just cut my grocery shopping time down to 1/3 of the time I use to spend! I am so happy & excited about this! I will definitely be taking advantage of this a week before I need the items! Let me know what you think about this idea? Do you think this is a good idea or bad? Click on the "no comments" link to leave your comment.